Outside the Rugby World Cup there is no more important trophy in union to Australia and New Zealand than the Bledisloe Cup. Unfortunately for Aussie fans however, the Kiwis have had a stranglehold on the trophy. Not since 2003 have the Australians had the Bledisloe Cup in their possession, a dominance that almost transcends the sport. Is 2018 the year Australia reclaims the coveted cup? The Aussies have a young squad that seem capable of upsetting anyone on their day. Despite losing 2-1 to the Irish in their last series, the Wallabies registered a strong win at home in game one that displayed signs of what the future may hold. The All Blacks were their typical dominant selves in their last series whitewash over the French. The frightening prospect for the Aussies is the fact that returning pair captain Keiran Read and lock Brodie Retallick did not play in the series. 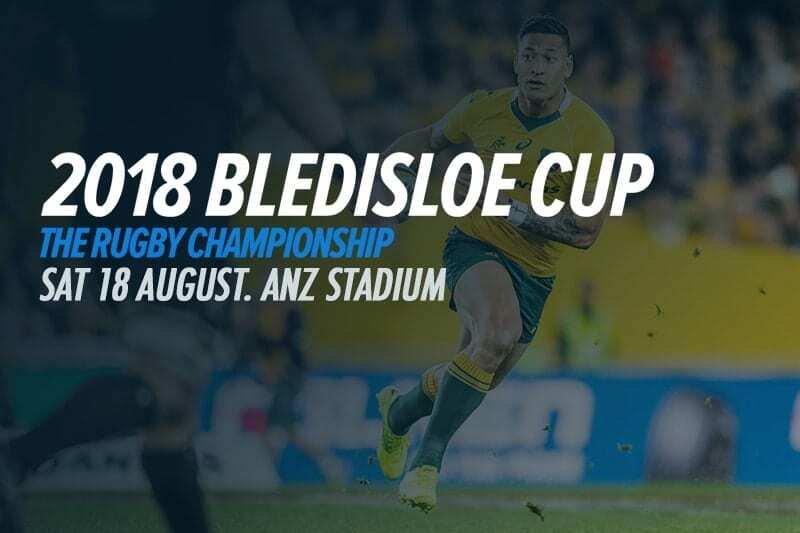 If Australia are to be any chance of securing the Bledisloe Cup they will need to make the best of their opportunity on home soil. It is going to be all systems go for Izzy heading into game one. The mercurial superstar has stated he will be taking up his position at full back and vowed to attack the All Blacks head on. We think this is Australia’s best chance at winning and we can’t wait to see what Izzy has in store. The milestone man Sam Whitelock will be looking for a big showing ahead of his 100th cap. The 29-year-old is arguably the world’s best lock and is pivotal to his team’s chances. While he steps down as acting captain with Kieran Read returning to the fold, Whitelock will be depended upon for his leadership in Sydney. Australia vs New Zealand – Who wins? While we’re hopeful the Australians can put up a good fight, no one in their right mind should be backing against the All Blacks. The game might be in the Australian rugby heartland but New Zealand’s side is too strong right across the board. This is a team that swept the French aside with consummate ease, that now has captain Keiran Read and lock Brodie Retallick returning. The Australians showed signs against Ireland that they might be building towards something special, but they are not on the All Blacks’ level. We’re backing New Zealand to win big against the Aussies in Sydney.